Almost never put up pics of yours truly, but I found this old photo from my first foundry job (Hi Modern Art Foundry in Astoria!) that my sister took. We were obligated to wear steel toe boots of which I could only get in the smallest boys size- still 2 sizes too big for my absurdly small feet. It looks like I'm going to fall over frontwards! Still, one of the best jobs ever. Wow, nice shot! 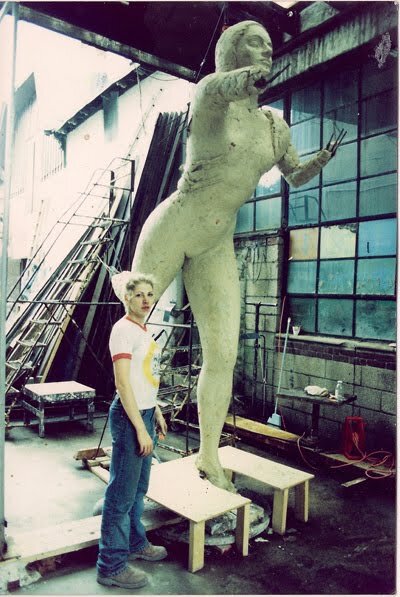 Huge sculpture. Was that from the 1990s?